I was listening to some comedians talking on a podcast recently. It seems to be a thing in comedy for comics to interview their friends and idols. However, I was struck by the similarities between owning a gym and running a comedy club. The fitness and entertainment professions both appeal to the general public as markets. They each bring in people to participate in some sort of experience. Although, they do it in different ways, perhaps. 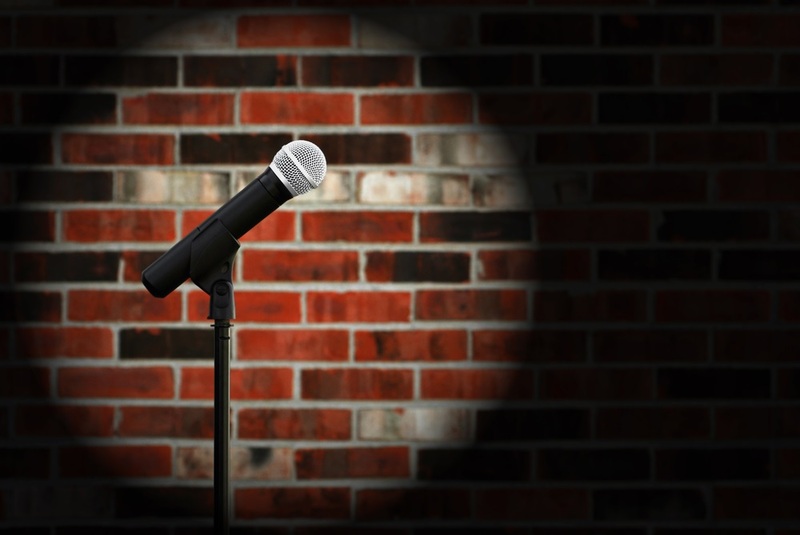 Lately, comedy clubs are growing in popularity and revenue. The number of would-be comics has increased and so have the nightly ticket sales. Most clubs in that business are still independently owned and operated. That may change if a company starts buying up the competition. As I understand it, the culture inside comedy has changed in recent years too. Comics of twenty to thirty years ago were notoriously competitive. Also, a bit hostile to one another. Now, it seems they’ve collectively gone from a scarcity mindset to one of abundance. I think this is due to the expansion of venues, and of the growth of digital media channels like YouTube and podcasting. People have to want to come by and spend time at your club. So, there is a common need for hospitality and cleanliness. Entertainment and a liquor license might be fundamental to comedy. In fitness, you need an establishment with equipment that matches your fitness programming. The licensing is more to do with the individual physical fitness certifications of your staff. Of course, both require business licenses from your controlling local authority. The first thing to investigate, in both fields, is the level of competition and market factors. You have to understand the demographics of your target market and where they live. A comedy club needs to locate near other entertainment venues, as well as restaurants and thriving bars or night clubs. If you intend to start a high-intensity interval training club like CrossFit, you need a young and affluent market. Boxing gyms traditionally set up shop in blue-collar neighborhoods to appeal to underprivileged and ambitious youth. At the other extreme, starting a premium studio that competes with brands like Equinox, means setting up shop in among the luxury retail establishments that serve high-income communities. I don’t think I could do comedy. Not in the American way of getting up on stage and cracking jokes. It takes professional comics years to perfect their styles and stories. Even then, they often have nights when they can’t connect with their audiences. But, when they do, experienced comedians have the crowd eating out of their hands. That runs parallel to fitness in one way. When you develop a system of client programming and a gym membership sales process, getting it right can take years. Once you do, your reputation spreads naturally, and prospect interest easily converts into monthly memberships, and more new clients sign up for your premium programs too. Audiences are the entire reason to be for stand-up comedy. In marketing your fitness business, there’s an audience too. You usually have a more formal relationship in fitness. Club memberships give your customers a license to come in and use the facilities. You sign them in, track attendance, and manage their clubs with gym management software like Gym Insight. One of the factors making comedy more welcoming to new entrants is that platforms are spreading. Comics put highlights and segments of their acts out on YouTube. Many comics have weekly podcasts. This format extends longer where they sit and chat with guests. These seem to be surprisingly thoughtful and in-depth. As for guests they, interview each other, but also people from different walks of life that catch their interest. There’s nothing to stop fitness professionals doing the same. Video is an excellent medium to explain client programming. If you’re interested in fitness podcasting, create a narrative about your experience and do enough personal branding to feel comfortable recording segments. Then email podcasters you like, and ask to go on their shows. This gives you direct insight into what’s involved in the medium as a process. The most useful comparison between the two professions is in the followings that charismatic comedians and fitness trainers earn through hard work and charm. A great comic is funny of course, but they’re leaders too. They have the skills and power to hold the attention of a crowd. There’s a lot of room in fitness for that kind of leadership. It’s the talent you book. If there’s one thing to copy from the comedy clubs, it’s book talented people to lead classes and personal training sessions. I’m not going to suggest having comedians doing standup routines in the gym. That would be too much, I think. Could you imagine? Coleman, Libby. “These Major Trends are Driving Comedy Club Growth.” Forbes. September 19, 2018. https://www.forbes.com/sites/libbycoleman/2018/09/19/these-major-trends-are-driving-comedy-club-growth/#5676733569e3 (accessed April 5, 2019). Fagan, Lawrence. “Creating the Best Client Programming Experience for Your Membership.” The Gym Insight Blog. January 29, 2018. https://blog.gyminsight.com/4848-creating-the-best-client-programming-experience-for-your-membership/ (accessed April 6, 2019). —. “More Podcasting Resources for Gym Business Entrepreneurs.” The Gym Insight Blog. June 29, 2017. https://blog.gyminsight.com/4498-more-podcast-resources-for-gym-business-entrepreneurs/ (accessed April 6, 2019). —. “On the High Road to Premium Gym Ownership Success.” The Gym Insight Blog. February 17, 2015. https://blog.gyminsight.com/3188-on-the-high-road-to-premium-gym-ownership-success/ (accessed April 6, 2019). Rush, Morgan. “How to Start A Comedy Club Business.” Chron. n.d. https://smallbusiness.chron.com/start-comedy-club-business-2135.html (accessed April 5, 2019).